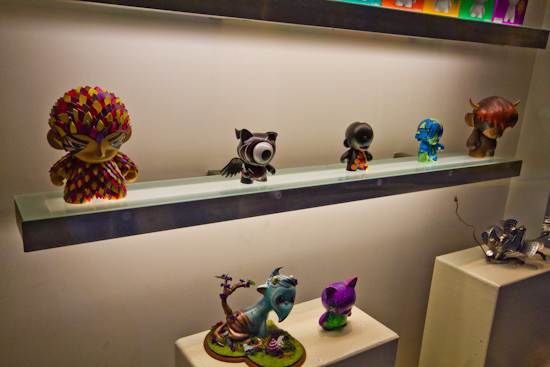 I managed to get down to QV and have a look at the window exhibition at Villain today… They put the call out to the general public to submit custom Munny toys a couple of months ago and the exhibition went up about a week or two back. 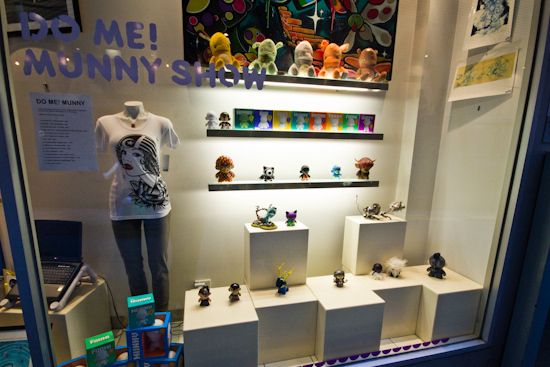 It was pretty exciting to see three of my toys up in the window, thought they looked really good and the display was really well lit. Check out a few photos I took of it above. 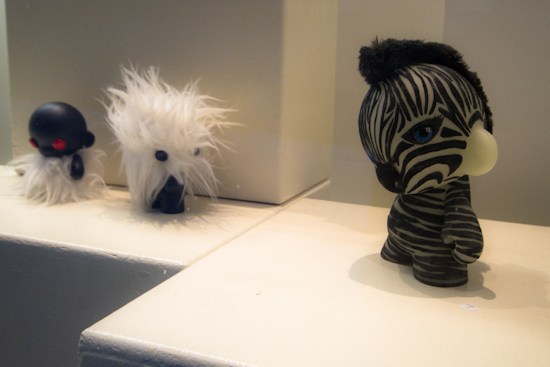 Looking forward to the next show they have, apparently it’ll be a proper exhibition (their last one attracted over 80 artists! ).